JK web technologies also provide domain and web hosting services at very affordable price. Domain user control panel . 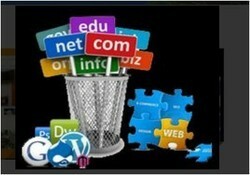 Sell customized web hosting . At Kohli Hosting, we specialize in Microsoft Windows hosting. Our latest Microsoft hosting platform includes Windows 2008 with Internet Information Server 7 (IIS7) and support for ASP.NET, MVC, Silverlight, WCF RIA Services, LINQ, AJAX, web services and more. We host in isolated application pools and support full trust and medium trust. Click on the links below to find out how we automate various aspects of your Domain Registration business.